Every so often we like to have a look back through the poster archives to gain a little inspiration - from the time when train travel was seen as something special. The buzz that, as a child, came from the moment you arrived at the station, bought a ticket, sat in the waiting room, moved on to the platform to see your train arriving on the horizon - through to the thrill of stepping aboard, putting your luggage away, choosing your seat and watching the countryside flash by. A time when the advertising didn't try to cram 101 messages on to a single piece of communication and you were left to your own imagination as to what train travel could offer. 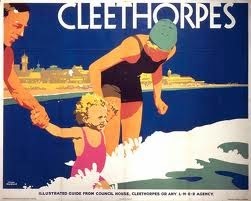 Be it excitement, relaxation or even romance - there was something for everyone on the UK's rail network. 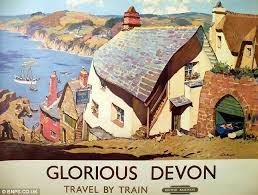 A time when when it seemed train travel held a certain mystique - certainly something that was reflected in the quality of the advertising.